Step 1. Submit your site. 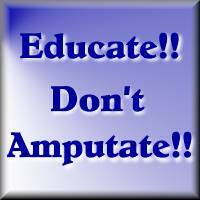 Please, if you have a declaw information page on your site, put that page URL where it says site URL. Step 2. Choose your graphics, from the Graphics selection page, then save the graphics. You do this by right clicking on the image to save, and when the menu box comes up, choose "save image as". Step 3. When you receive it via email, add the code to your page. Please place it on the page you signed up with. If I can't find the ring on that page, you won't be added. 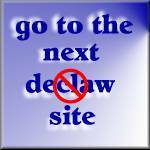 If you have a declawing information page, please place this ring on that page.